Washington (CNN)US Defense Secretary James Mattis issued a dramatic ultimatum to North Korea on Wednesday to "cease any consideration of actions that would lead to the end of its regime and destruction of its people" -- strong words that come just one day after President Donald Trump warned that the US could unleash "fire and fury" on Pyongyang. "The DPRK must choose to stop isolating itself and stand down its pursuit of nuclear weapons," Mattis said in a written statement, adding that the "regime's actions will continue to be grossly overmatched by ours and would lose any arms race or conflict it initiates." Mattis has consistently said that he prefers to resolve issues over North Korea's missile and nuclear programs through diplomacy -- noting military action could yield catastrophic consequences. "Kim Jong Un should take heed of the United Nations Security Council's unified voice, and statements from governments the world over, who agree the DPRK poses a threat to global security and stability," he said. The latest crisis intensified when reports emerged this week that US intelligence sources believed North Korea had developed the ability to miniaturize a nuclear warhead to fit top of a missile. Those reports appeared to prompt Trump's tirade from Bedminster Tuesday. "North Korea best not make any more threats to the United States. They will be met with fire and fury like the world has never seen," Trump said on Tuesday. Hours after Trump spoke, and apparently in response to military exercises by the US earlier in the week, Pyongyang warned that it would carry out pre-emptive military strikes against the US, including the Pacific territory of Guam. US Secretary of State Rex Tillerson sought to allay fears of a military confrontation earlier on Wednesday -- defending Trump's comments but telling reporters there was no sign that the threat level from North Korea had changed and that Americans should "sleep well at night." Tillerson has maintained that the US is open to dialogue with North Korea, if it promises to abandon its development of nuclear weapons. But that precondition has been a non-starter for Pyongyang. And Mattis clearly reminded Pyongyang of that military strength on Wednesday. 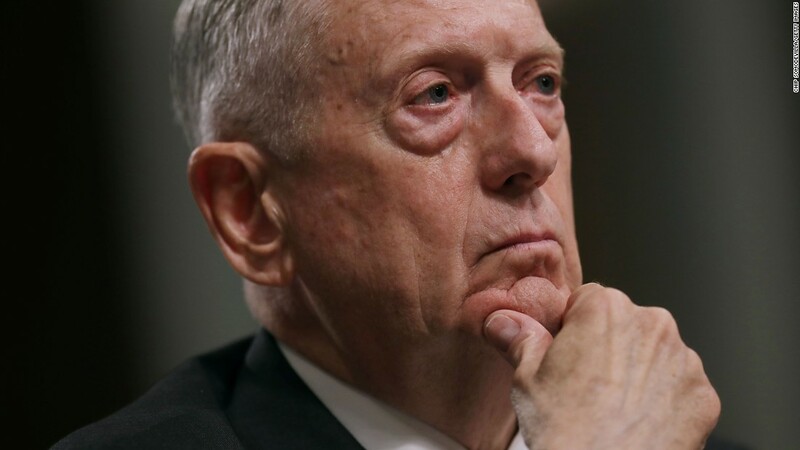 "While our State Department is making every effort to resolve this global threat through diplomatic means, it must be noted that the combined allied militaries now possess the most precise, rehearsed, and robust defensive and offensive capabilities on Earth," Mattis said. "The United States and our allies have the demonstrated capabilities and unquestionable commitment to defend ourselves from attack," he added. State Department spokesperson Heather Nauert said Wednesday that the administration is working in concert with US allies to carry out a "pressure campaign" against North Korea. "The United States is on the same page, whether it's the White House, the State Department, we're speaking with one voice," Nauert said. "We've talked about our pressure campaign ... that's backed by many other nations," she added. "That campaign is working, it is ratcheting up the pressure every day." --Execution Time: 4/20/2019 5:42:47 AM - 4/20/2019 5:42:47 AM = 0.0781194 sec.